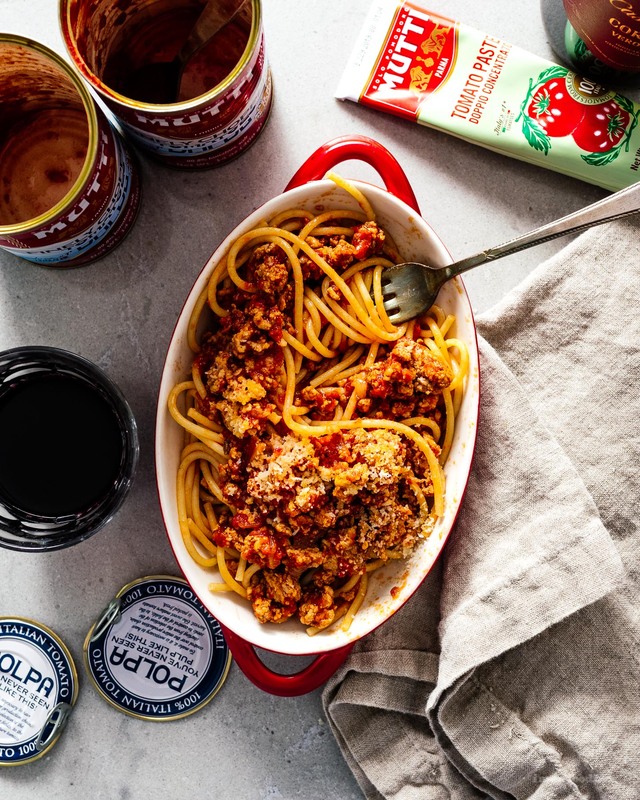 I love sophisticated and authentic Italian pasta sauces as much as the next person – Steph and I have even made a pilgrimage to Bologna in search of the ultimate ragu Bolognese – but if I’m honest, sometimes I just want the stuff I grew up with – spaghetti with meat sauce. You know what it is: cheap overdone spaghetti and ground meat with red sauce. I’m an adult now and I recognize that stuff neither tastes as good as I remember nor is as healthy as I’d like these days. This version though is very healthy, very easy, and tastes just as good as your memories. 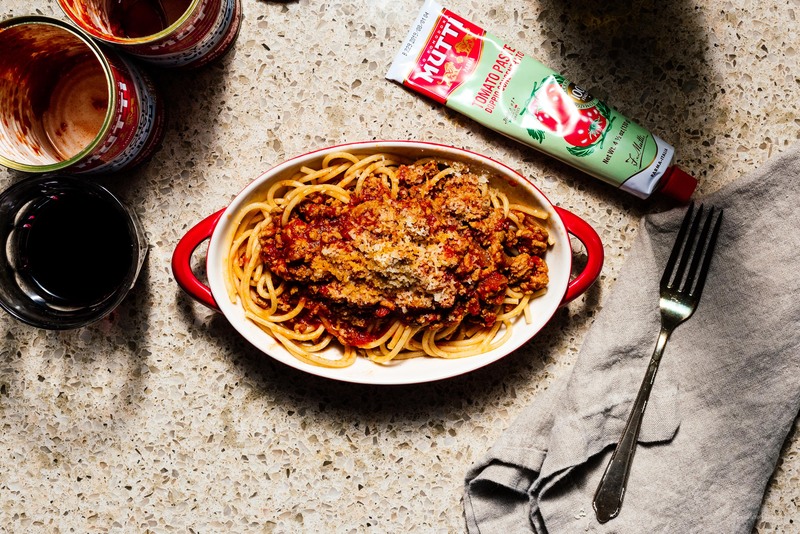 The only difference is, instead of mom sweating over the stove for a couple of hours simmering, this sauce comes together quickly thanks to the power of pressure cooking and the freshness of Mutti tomatoes, which are our favorite -bar none- brand of tomato sauces and pastes. 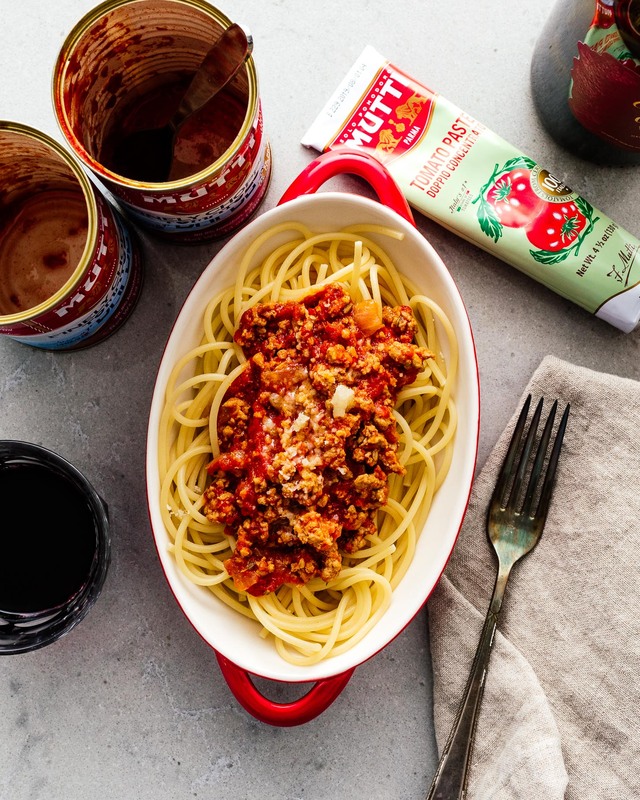 This post was done in collaboration with Mutti, but they were already our go-to anytime we needed passata or tomato paste: those tubes of double and triple concentrated pastes are genius. Ground meat is unspecified because you can choose what you like. I prefer a 50% beef/pork mix, but you can do Italian sausage, ground lamb, ground veal, it’s up to you. 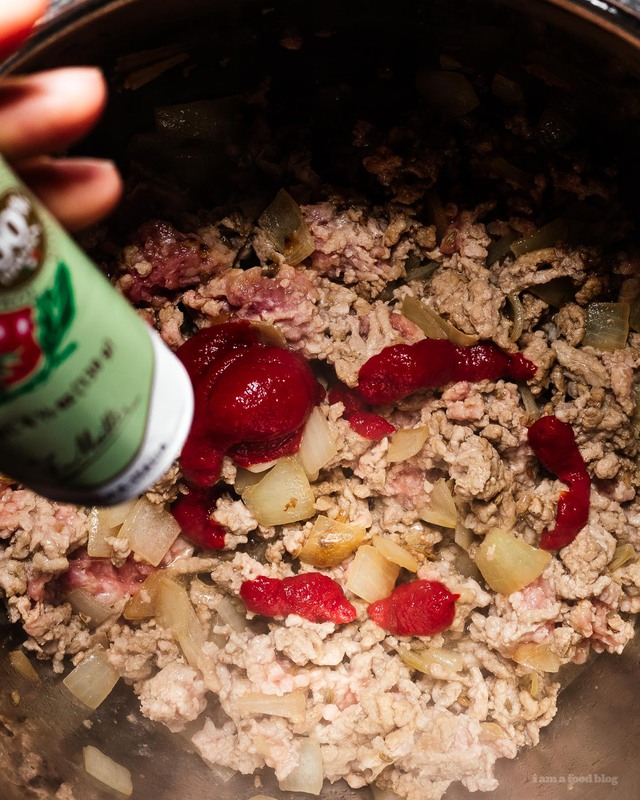 An instant pot or other countertop pressure cooker. Serve with pasta. Cook the pasta 3 minutes shy of al dente, then transfer to your sauce and finish in the sauce. 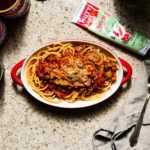 Or, be nostalgic, and drop the sauce on top of the pasta. It won’t be as good, but it sure looks nice. 1. 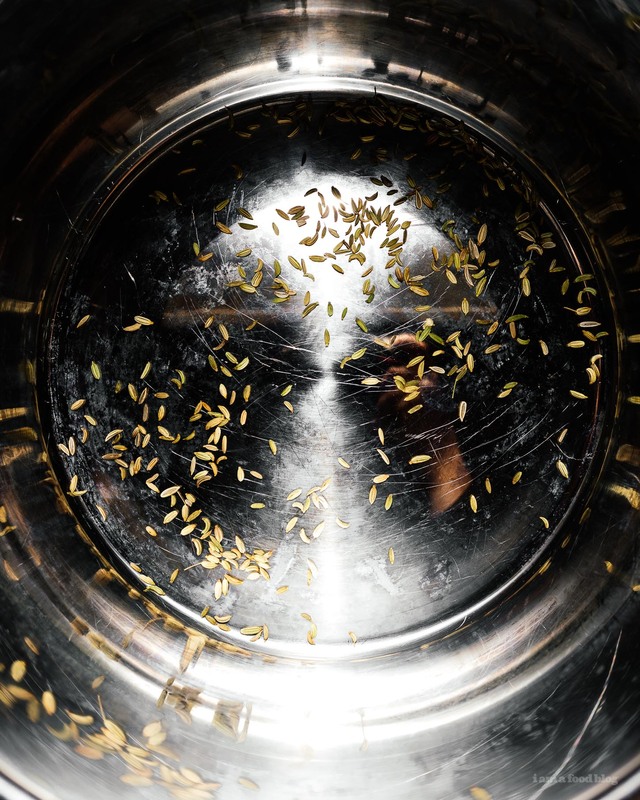 Toast the fennel in your instant pot on saute medium mode. 2. 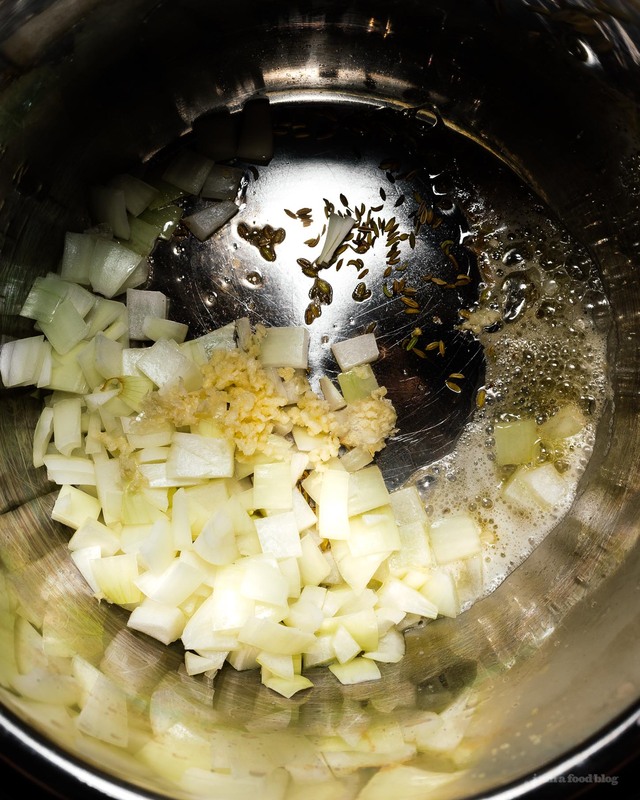 When the fennel is aromatic, add butter, onions, and garlic and cook until onion is slightly translucent, about 3 minutes. 3. Add your ground meat and break up. 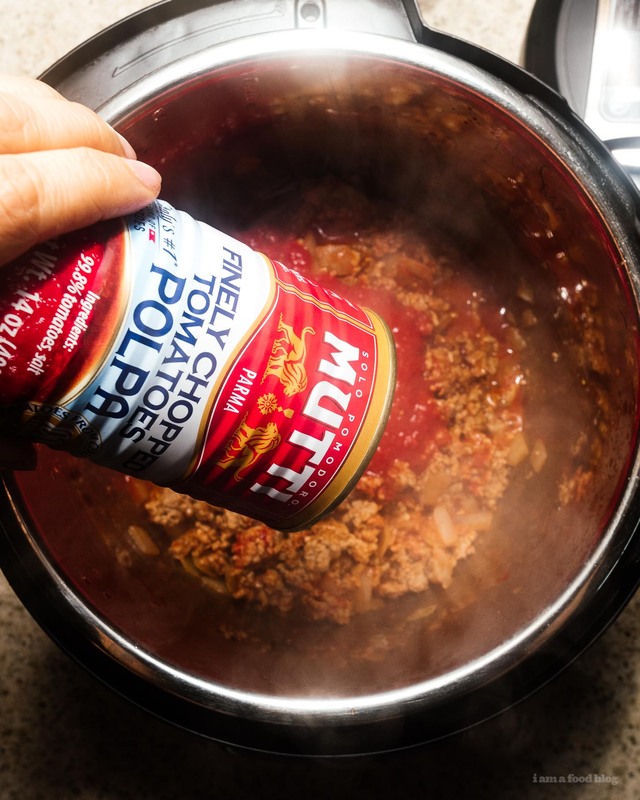 When the ground meat is reasonably brown, add the Mutti Double Concentrated Tomato Paste (Doppio Concentrato) and stir. Cook for 1 minute to caramelize slightly. 4. Add Mutti Finely Chopped Tomatoes (Polpa) and close the lid. Cook on high pressure for 20 minutes. 5. Cook pasta 3 minutes shy of al dente, then drain and return to the same pan. When the sauce is done, quick release, then transfer 1/2 cup of sauce per serving of pasta to the pasta pan. 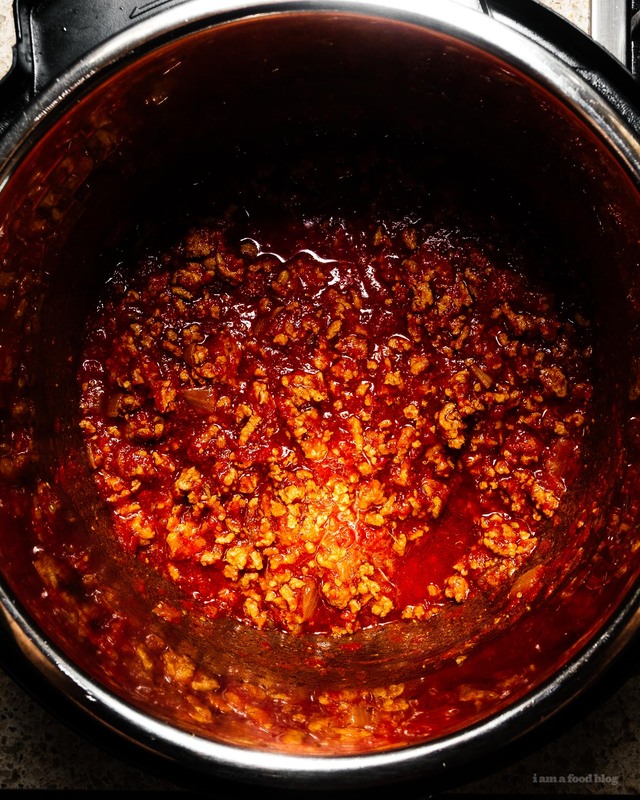 With heat on medium, toss until a glossy sauce forms and pasta is completely coated. Enjoy with lots of grated parmigiano.